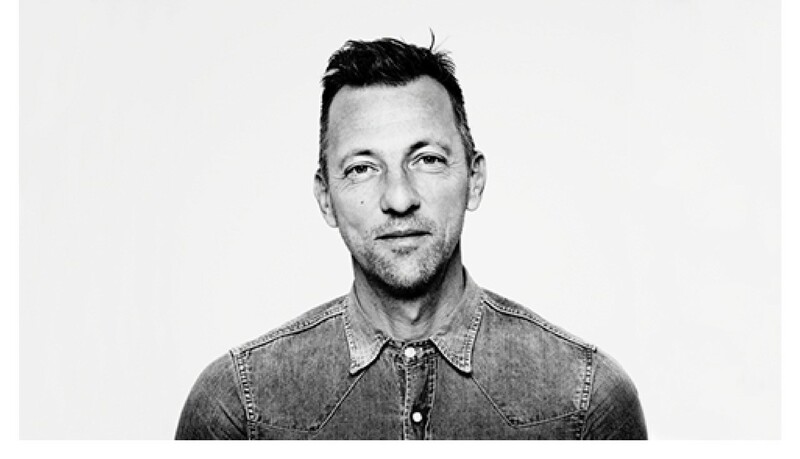 After his June 2018 “Show for 27 Shoes” at the Grand Palais, Olivier Saillard, J.M. 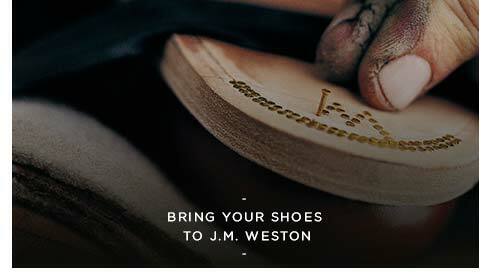 Weston’s artistic, image and culture director, staged a new performance in a unique venue. 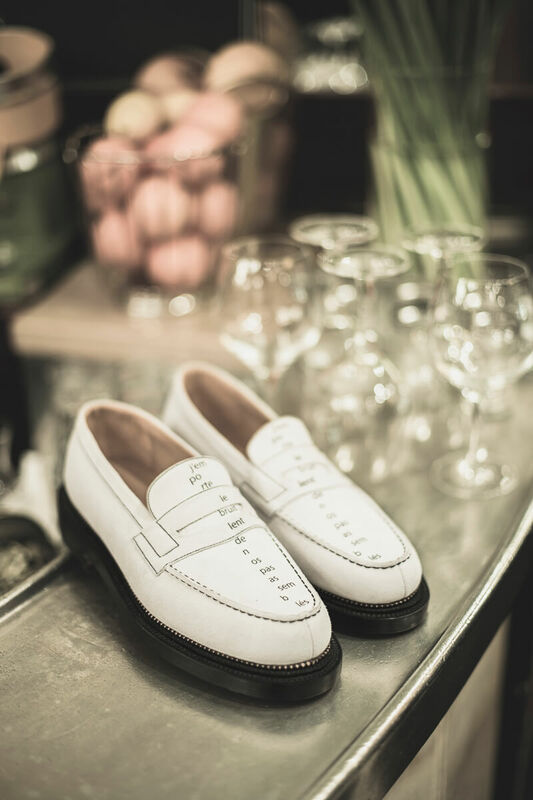 He unveiled an outstanding collection at the Café de l’Epoque, a historic 1826 bistro next to the Véro-Dodat gallery in the Palais-Royal neighbourhood of Paris. 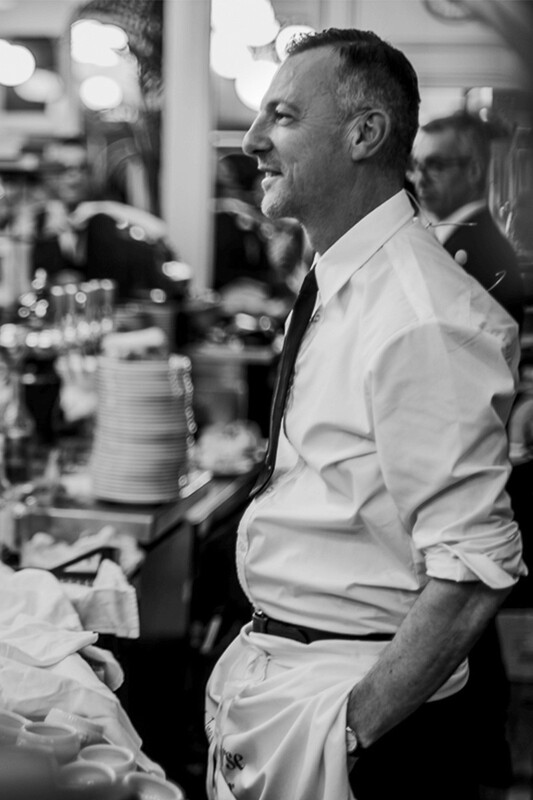 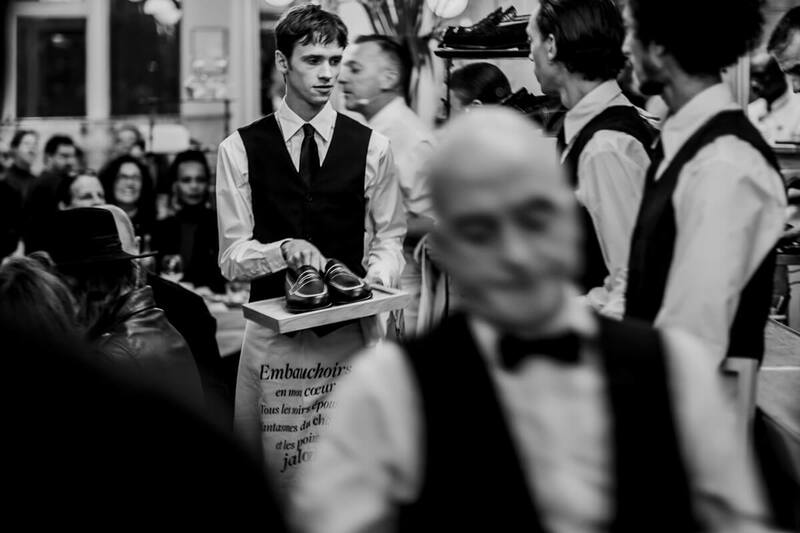 Models playing the part of café waiters for a day were shod in J.M. 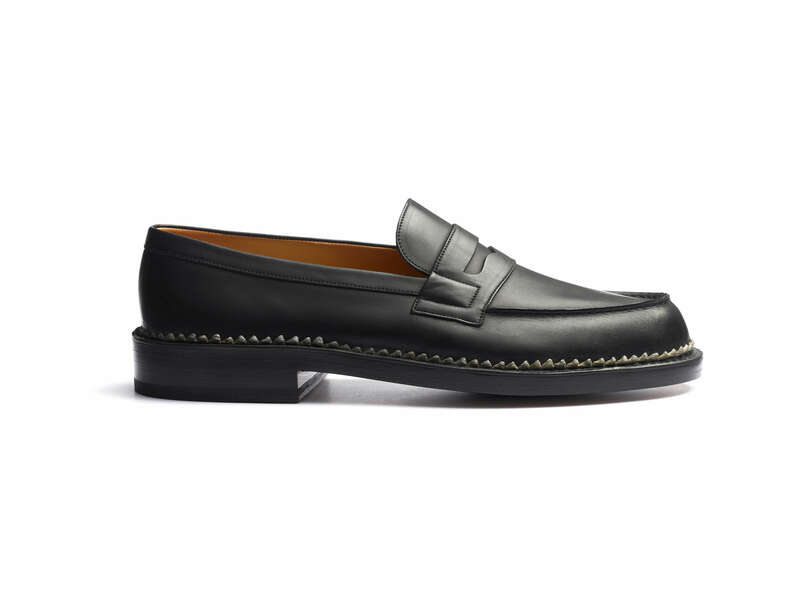 Weston’s signature 180 loafer, which a triple sole made of leather from the Bastin tannery made higher and wider. 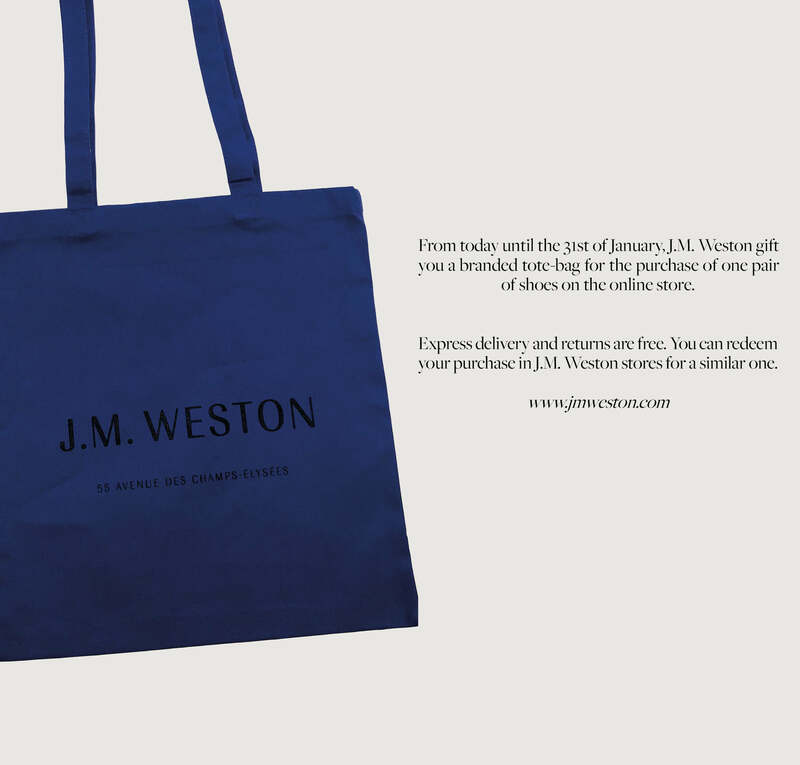 Available only on a bespoke basis, these “Very Special Orders” shake up J.M. 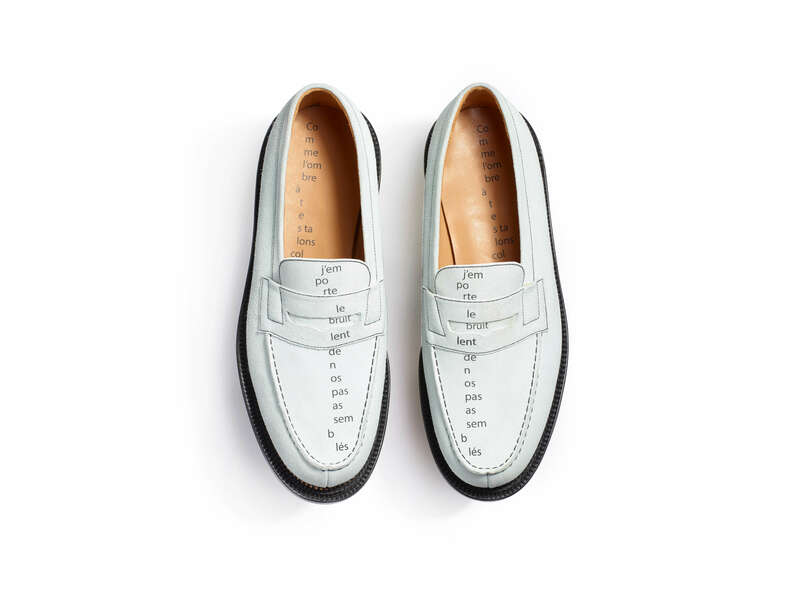 Weston’s footwear codes. 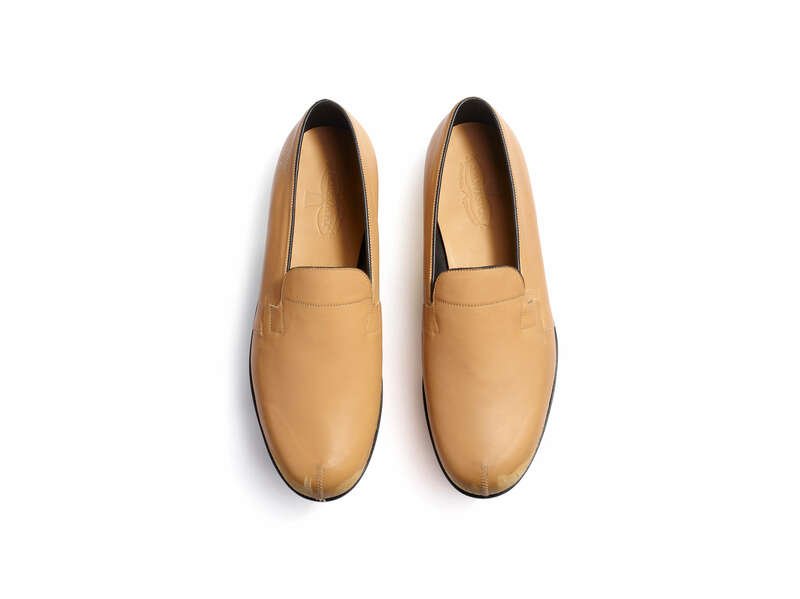 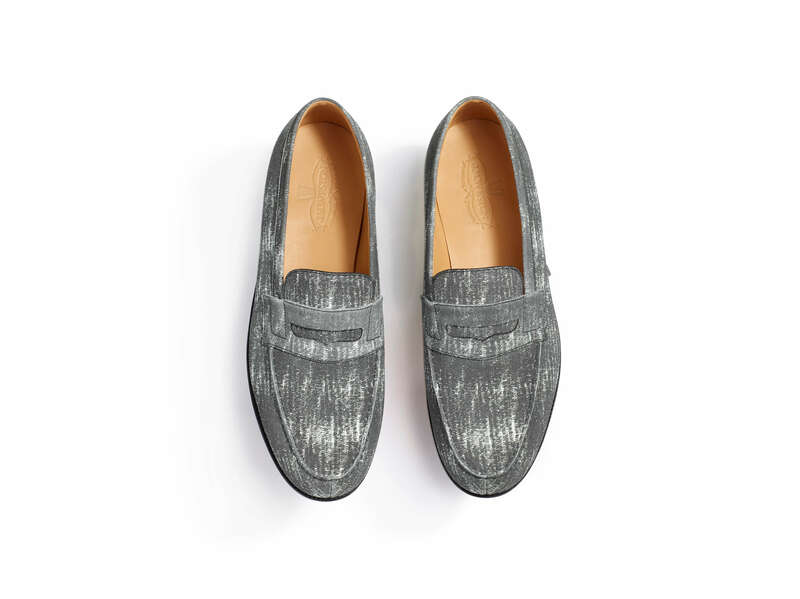 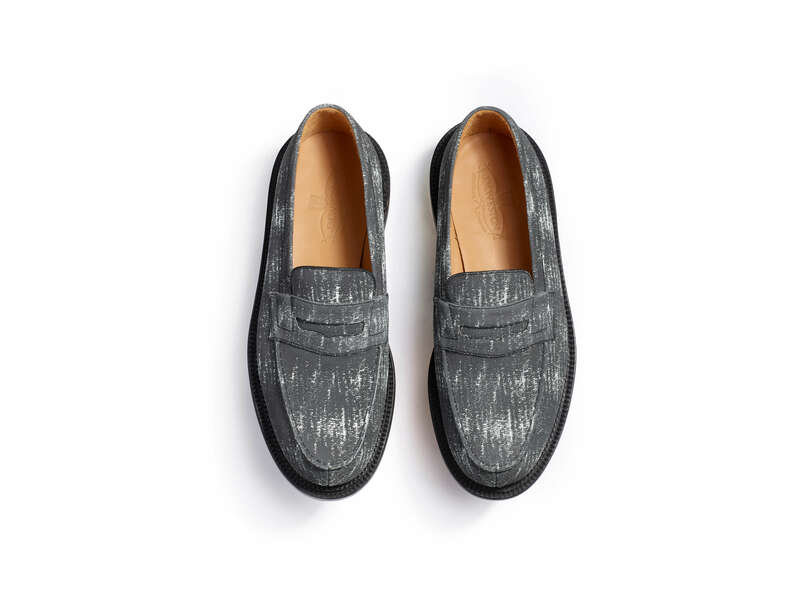 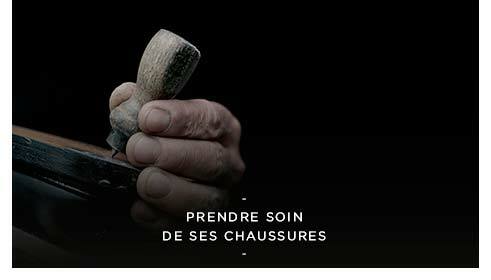 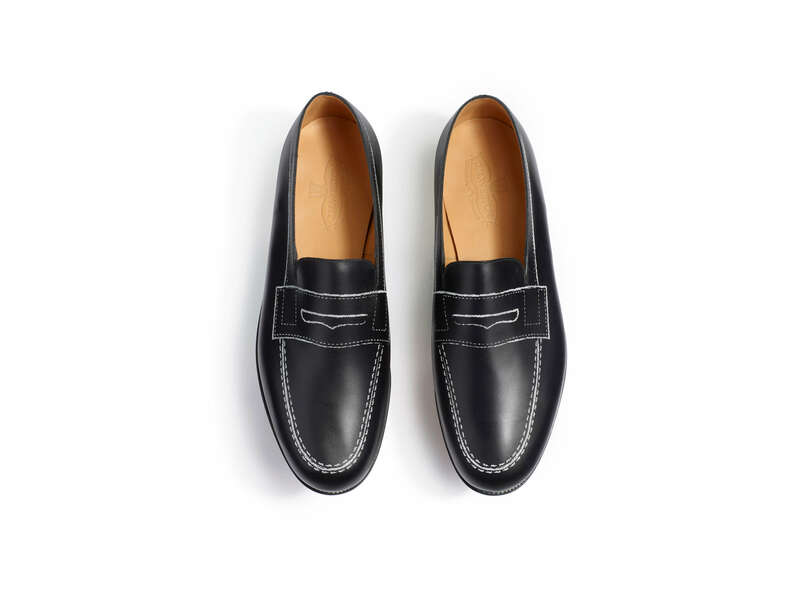 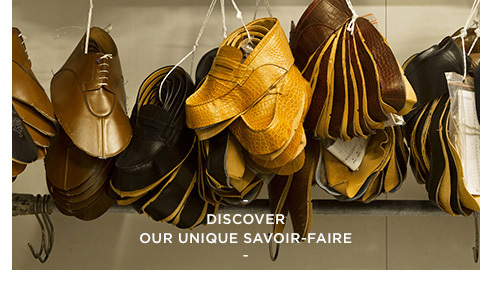 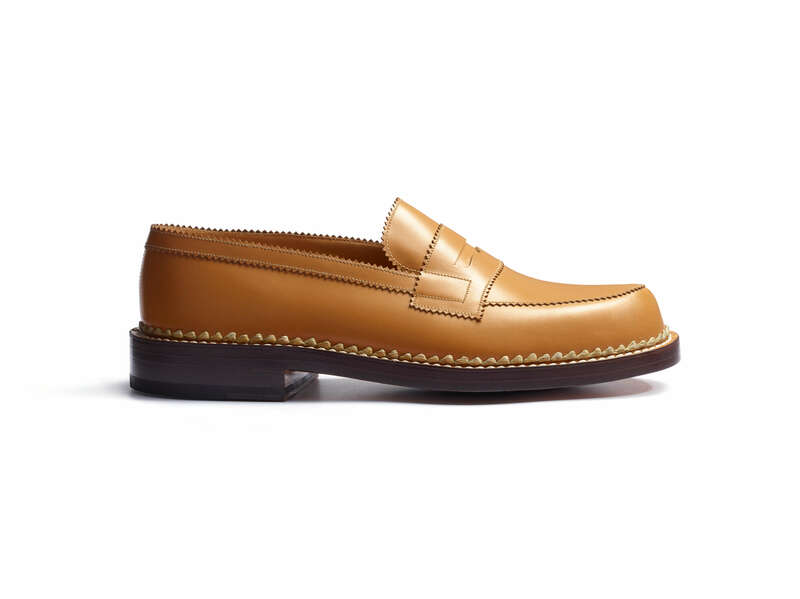 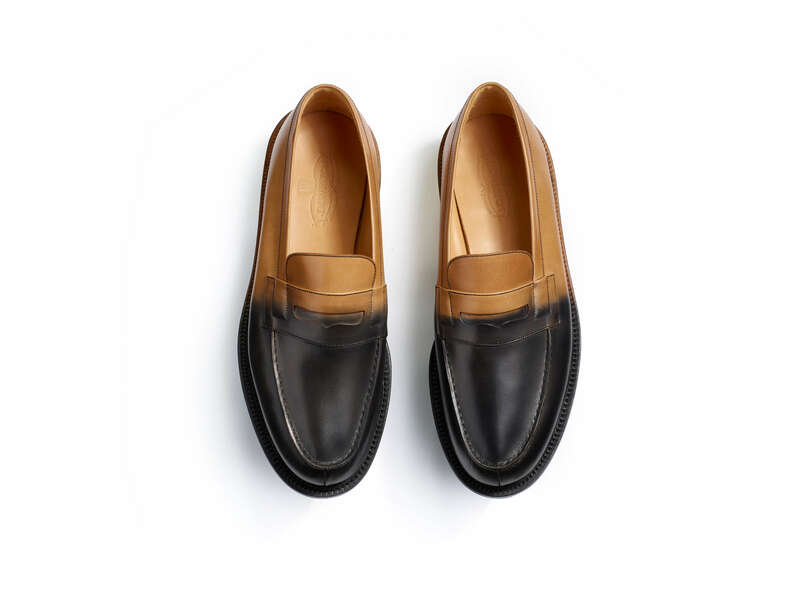 With Saillard, every loafer becomes food for thought, enhancing the creative gesture, the body’s movement, the importance of an attitude or a step, the walker’s relationship to the poetry of everyday life, etc. 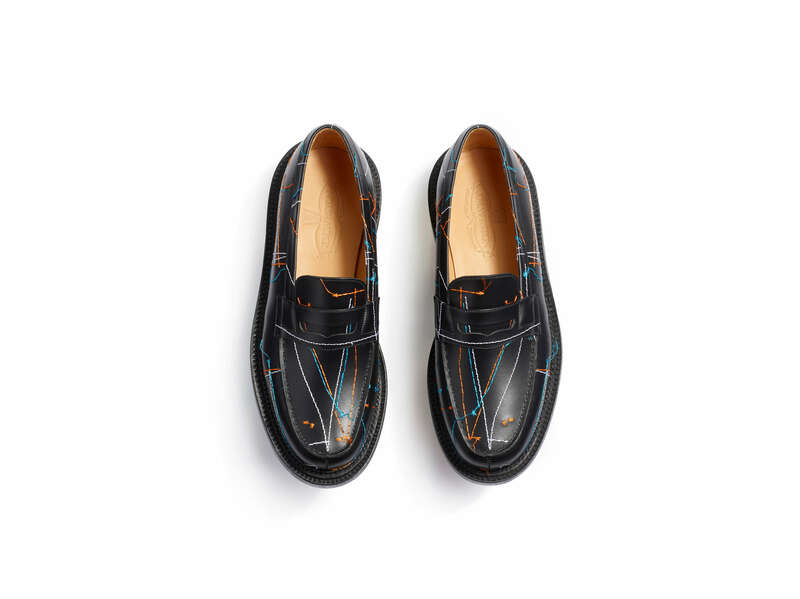 Here the upper is embroidered with multicoloured threads following the lines of the cut, there it is hand-embroidered by Lesage or silkscreened with a poem. 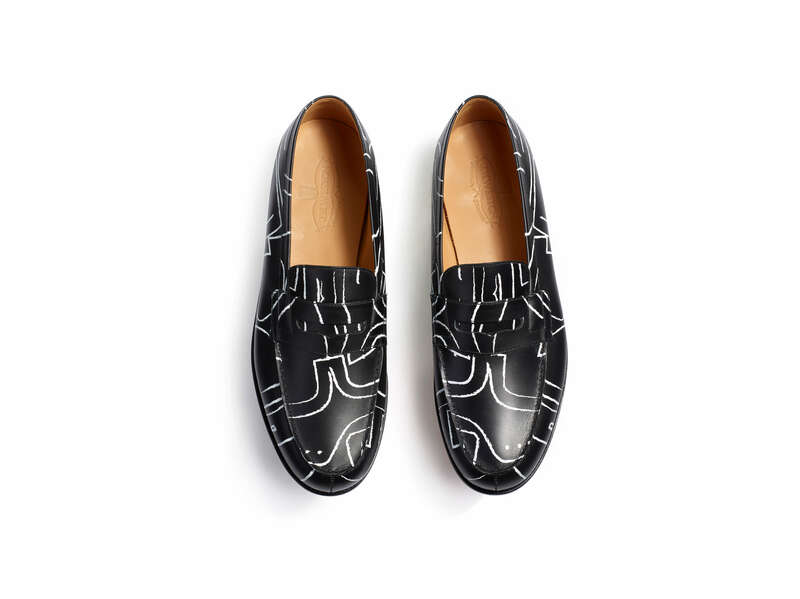 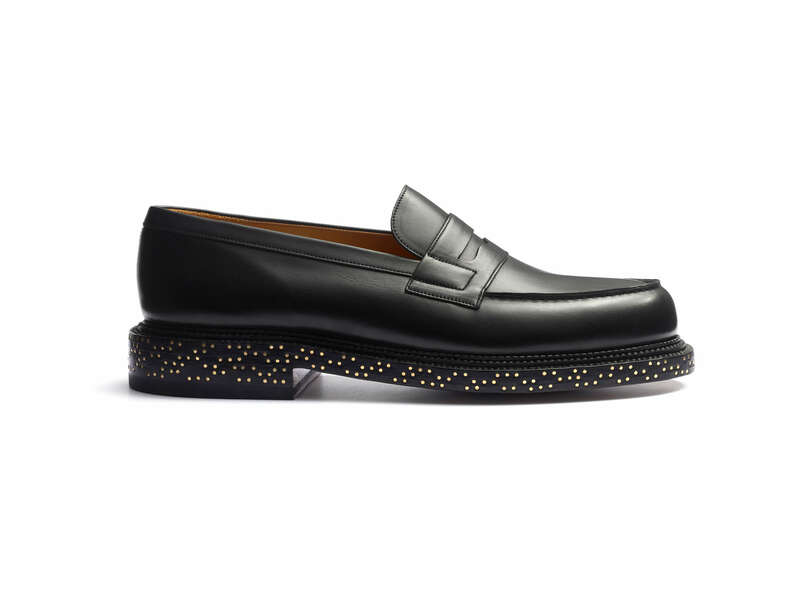 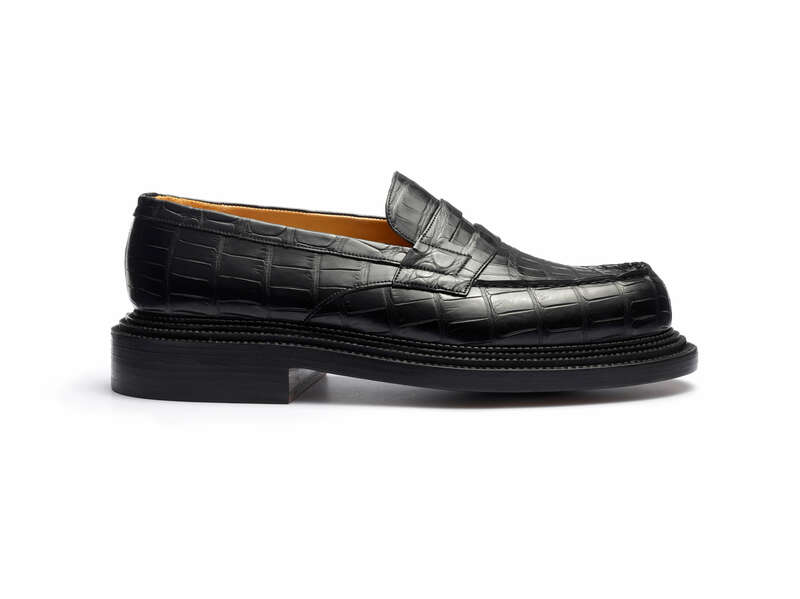 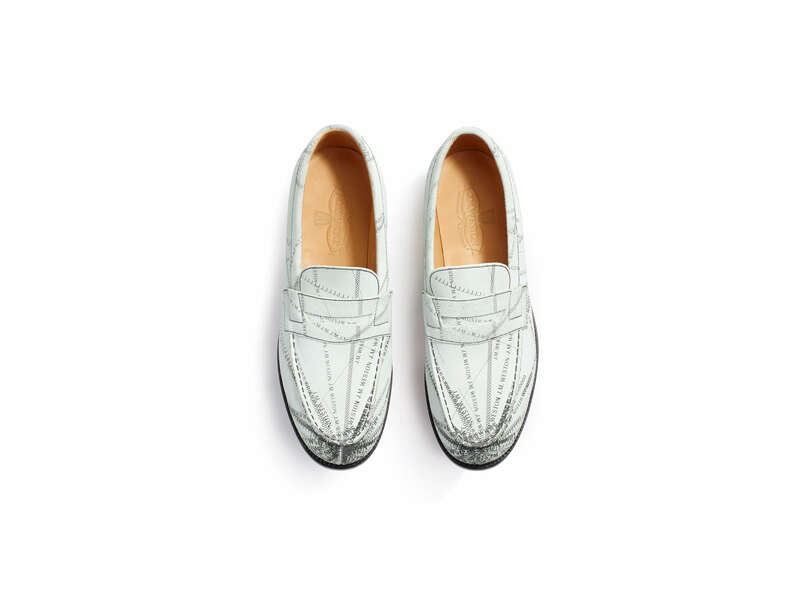 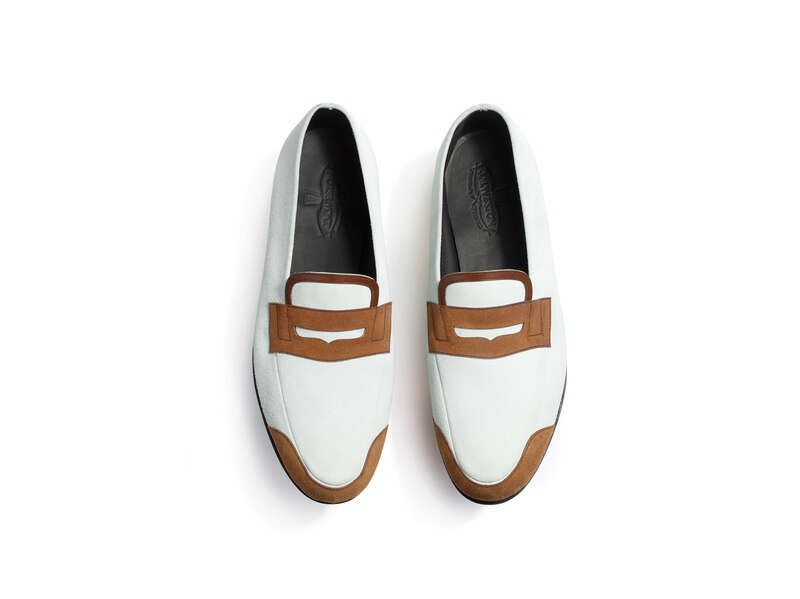 The loafers are made from a single piece of leather before silkscreening recreates the impression of the vamp and seams. 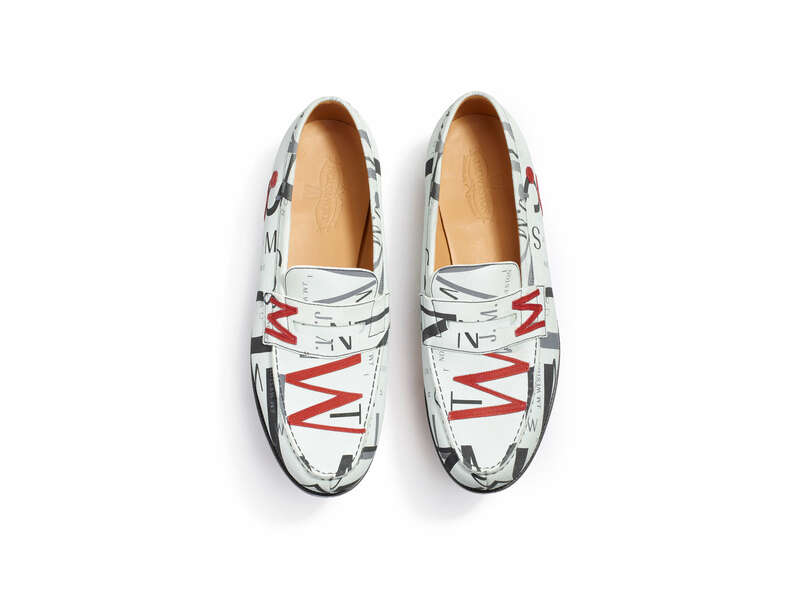 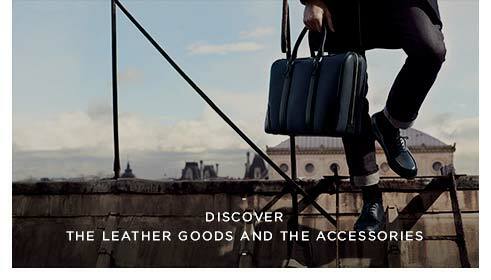 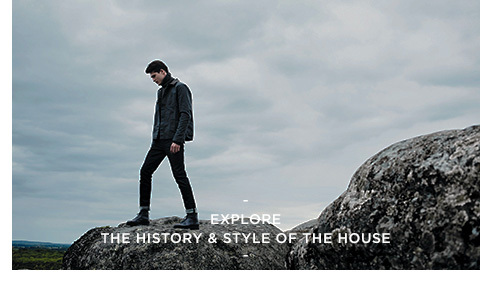 A unique collection of 17 models showcases J.M. 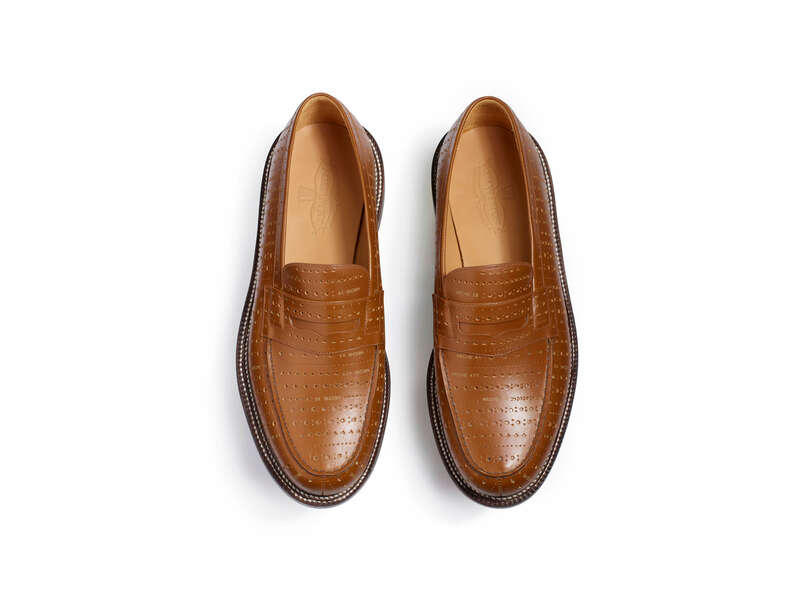 Weston’s craftsmanship and technical skill, including tacks, holes, reverse assembly and scalloped edges.